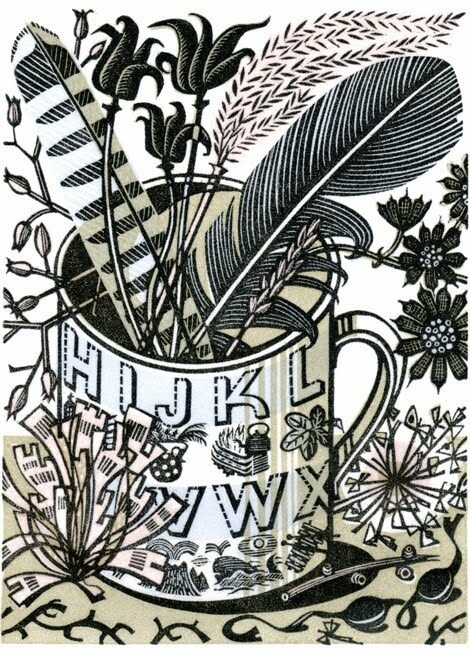 This lovely wood engraving, Alphabet and Feathers, 2010 is by Angie Lewin and commissioned by the Victoria and Albert Museum Shop. I'm like a bull in a china shop. I just bumped into another Alphabet mug which Angie Lewin used as a model for her lovely print. 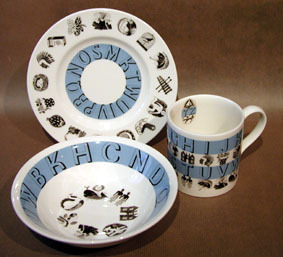 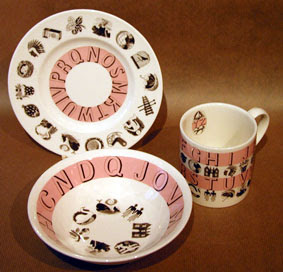 It was part of a set which was originally designed by Eric Ravilious in 1937 for Wedgwood. 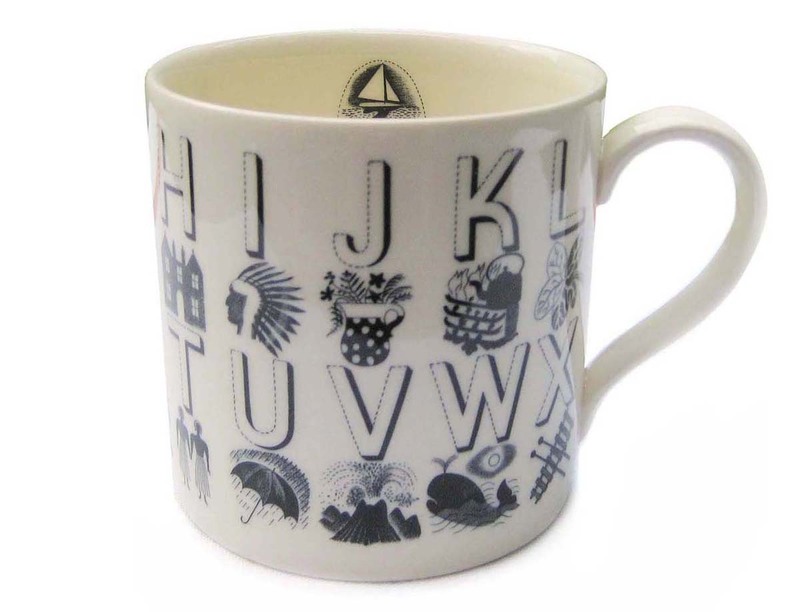 Evidently this mug was recently and quietly re-issued by Wedgwood and then quickly withdrawn. You can view more of Eric Ravilious amazing artwork here.